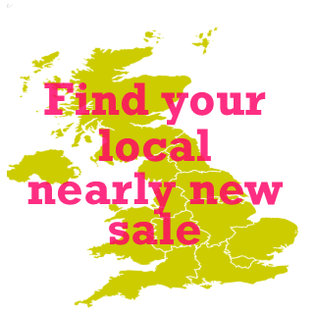 BUY nearly new baby and children's clothes, used toys and baby equipment at bargain prices, direct from the previous owner at our live events all over the |UK. Why not join the team and host your own mum2mum market nearly new sales in your area? How do our nearly new sales work? If you're a mum with gently used maternity or kids stuff to sell, just BOOK A STALL at our nearly new sale and turn up ready to sell and make some cash. Don't worry if you haven't sold before. We give you lots of sellers tips to help you get the pricing and presentation right to maximise your sales on the day. If you are pregnant, or a savvy mum wanting to kit out your kids in quality brands at a fraction of high street prices come along to a mum2mum market nearly new sale grab some bargains and save loads of money.